Sergey Karjakin got crushed today at the Grand Prix in Tashkent by Dmitry Andreikin, who now leads the pack together with Hikaru Nakamura, who drew with Fabiano Caruana. The theme of the sixth round seemed to be calculating in time trouble. Jobava held a draw by the skin of his teeth thanks to accurately checking tactics with less than a minute on the clock. Karjakin spent too much time in the opening, and was missing too many things later on. Both Gelfand and Vachier-Lagrave overlooked a nasty tactic, and also in Nakamura-Caruana the computer pointed out some improvements. It was the key battle of the round: the tournament leader versus the top seed, and also the longest game today. Nakamura said he tried to “keep it simple” in the opening, but was worse out of the opening when Black got in the move 25...a4, “disconnecting” White's queenside pawns. The American GM sacrificed a pawn to get a knight to d4 but that didn't bring enough compensation. After missing more small things (e.g. 39...h5) he was clearly worse just after the time control. Caruana spent thirteen minutes on his 41st move, a critical moment in the game, but it seems like the Italian didn't find the most dangerous continuation. Nakamura vs Caruana | Photo © Anastasiya Karlovich courtesy of FIDE. 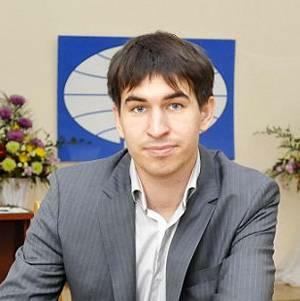 Dmitry Andreikin reached the final of the World Cup in 2013 where he lost to Vladimir Kramnik. The 24-year-old grandmaster from Ryazan played a very decent Candidates’ Tournament (7.0/14), but last month he finished on -2 and the 11th place at the Baku Grand Prix. But after six rounds in Tashkent we find Andreikin in shared first place with Nakamura thanks to a spectacular victory over Karjakin, who was on plus one but has now lost two games in a row. Andreikin beat Karjakin for the second time in a Torre Attack. | Photo © Yulia Monakova courtesy of FIDE. Mamedyarov defeated Kasimdzhanov and is now one of the three players trailing the leaders by half a point. Starting with 1.e4 is very rare for the Azeri GM (“I can't remember the last time,” he said), and it wasn't a big success. On the contrary, Black was more than OK out of the opening. However, Kasimdzhanov missed a key tactic. “Somehow this idea of Rg1, Ne2+ never crossed my mind,” said Kasimdzhanov, who made another mistake in time trouble that decided the game. In between modern art: Mamedyarov & Kasimdzhanov | Photo © Anastasiya Karlovich courtesy of FIDE. And it's still all about tactics! Let's do a puzzle — a really nasty one. Below the last, tactical part of the game Gelfand - Vachier-Lagrave is shown. 1) Couldn't Black play the tricky 28...Rc8? 2) Does this option mean anything to the game sequence? Find out the answers below in the annotations. Although for a moment he seemed to be winning, Vachier-Lagrave was clearly relieved to have drawn this game. Despite huge experience in the Grünfeld, he erred in he opening. A study-like finish in Gelfand vs Vachier-Lagrave. | Photo © Yulia Monakova courtesy of FIDE. Giri-Radjabov was another Berlin Ending, and... another draw. As a result, both players still have played only draws so far! It seems that Giri missed one small chance early on, and then it was always a draw. “In order to get my king to c5 I misplaced all of my beautiful pieces,” said the Dutch GM. Giri and Radjabov | Photo © Yulia Monakova courtesy of FIDE. A fascinating fight between Jobava and Jakovenko. | Photo © Yulia Monakova courtesy of FIDE.